The year 2018 marks the 100th anniversary of independence from Russia for the Baltic States (think Lithuania, Latvia and Estonia) – even if in the middle of that century of independence they lost it and were forced to regain it again, thanks to WWII. And yet, the Old Town of Vilnius is one of the largest medieval towns still in existence today (and therefore is protected by UNESCO). By day, it is a popular place with locals and tourists alike, relaxing in the cafes, strolling the narrow alleys and broad avenues, chilling in the parks and squares, mingling with the locals in restaurants and hole-in-the-wall bars. For great views, you might climb the ancient Gediminas Hill to the remains of the crumbled castle – or to the top of the opposite Hill of the Three Crosses, a more modern viewpoint. It is a place full of great (and budget-friendly) restaurants and bars frequented by lively locals and tourists alike, making it an ideal place for a friends weekend, a fun solo getaway, or a hen/stag party! Pro tip: For countryside and castle lovers, get out to the nearby Trakai Island Castle! This pink church is the first and oldest Baroque church in the Lithuanian capital of Vilnius. 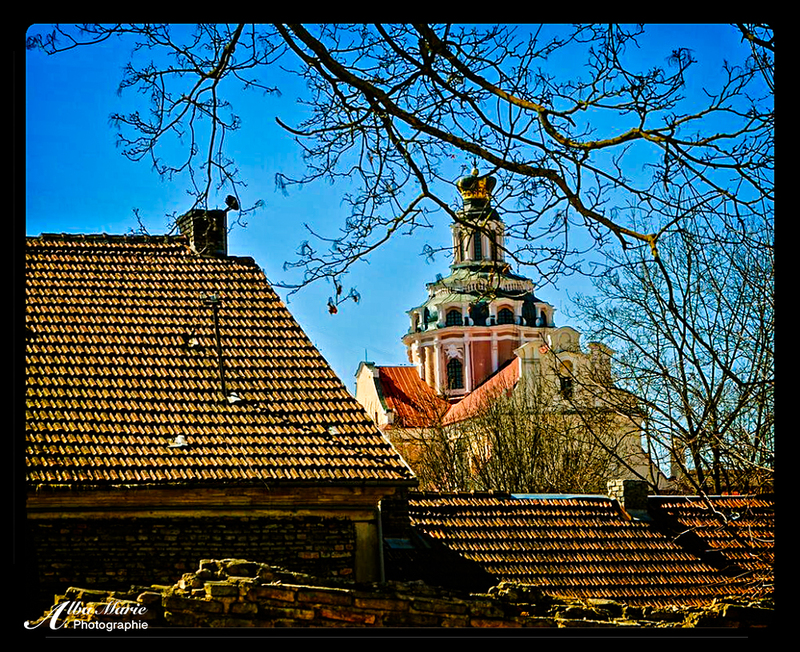 Built 1604 to 1635, it was dedicated to the patron saint of Vilnius, Prince Casimir Jagiellon from the lat 15th century. For its relatively small size, Vilnius seems to have an awful lot of churches. Baroque towers with intricate facades and gilded tips, orthodox churches with fancy Cyrillic writing, Gothic churches covered in spires. 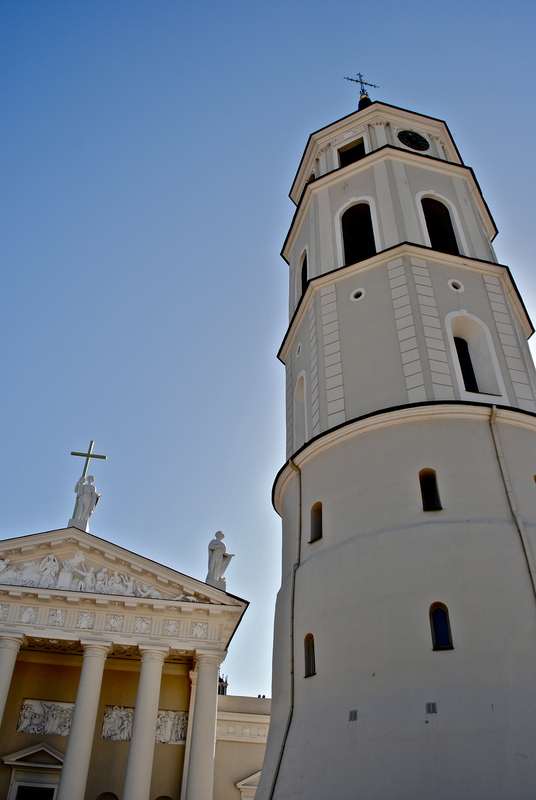 Red brick facades or painted in pastel colors, Vilnius’s churches are beautiful, tranquil, non-imposing. They seem nature, as if they are exactly where they are supposed to be. 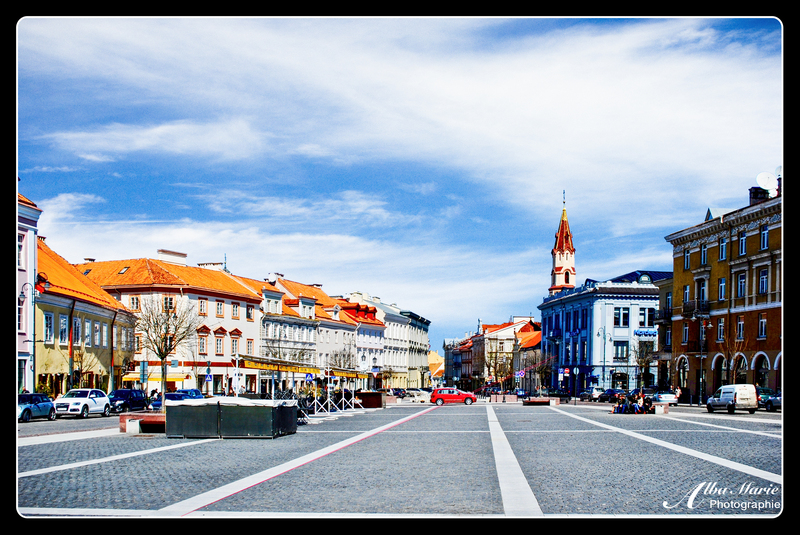 For an often-overlooked city, Vilnius has plenty of charms up its sleeves. It will never beat Tallinn (one of Europe’s most beautiful cities), or Riga, an Art Nouveau masterpiece. Yet, there is still something very special about this beautiful Baltic gem! Once part of Vilnius’ defensive system, this green lump rising from the centre of the Lithuanian capital is Gediminas Hill, one of Vilnius’ major landmarks. A short walk up the winding path takes you to what is left of the tower, which in part dates back to the 10th century. From there, one can see the Hill of Three Crosses–meaning that if you descend Gediminas Hill, meander through the Old Town to the base of the second one and climb the wooded path up that hill, you are rewarded with a panoramic view of the Gediminas Hill. Surrounding this ancient hill is the Old Town, a mix of styles and colours. You are currently in the heart of Lithuania. 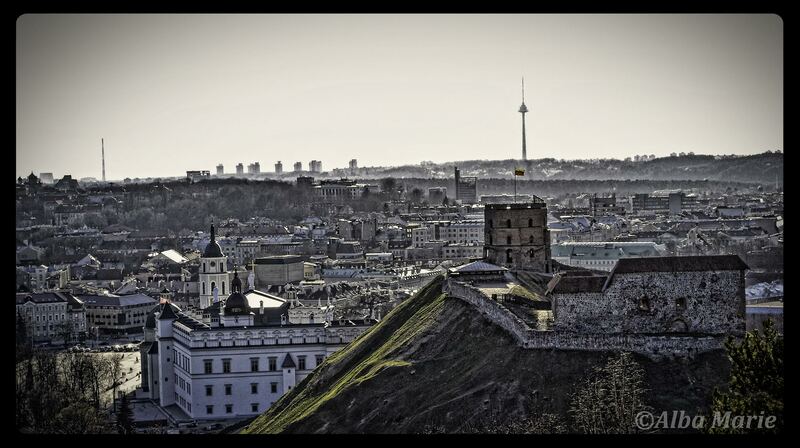 But just beyond that, you see the rest of Vilnius, the impacted of the Soviet-esque sky-rises and concrete towers. It is an interesting contrast of old and new, of Lithuanian independence and Soviet influence, and it’s a beautiful spot for quiet reflection. After enjoying the sunset over the hills, descend into town to enjoy another important aspect of Lithuanian culture…a beer in a local pub! Neoclassicism. What an invention. Back in the mid-18th century, a resurgence of Greek and Roman architecture became a la mode. The opposite of the naturalistic Rococo style, Neoclassicism strove to return to the “purity” of Greek and Roman styles, mirroring their symmetry, geometric design and perspective. The famous Italian architect Andrea Palladio played an instrumental role with the construction of his famous albeit peculiar Villa Capra “La Rotonda,” which he based on Roman temples and other similar designs. One of the most striking creations to come out of this architectural period is the Vilnius Cathedral, circa 1783, located in central Vilnius. One doesn’t normally imagine a Catholic cathedral in the capital city of an Eastern European country to resemble an ancient Roman temple—but there you have it, and there it is – see for yourself. Lithuania is full of surprises! 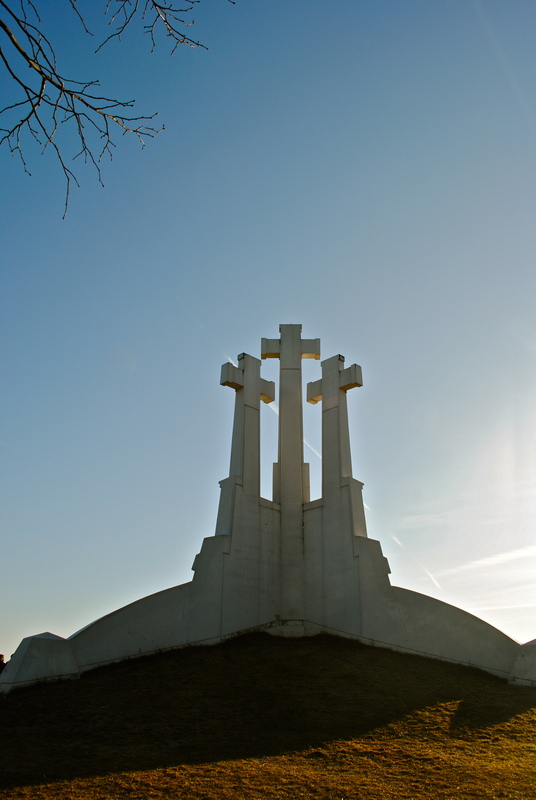 Designed by Polish-Lithuanian artist, Antoni Wiwulski (the borders changed so frequently that a mixed nationality is common) in 1916, these concrete crosses in Kalnai Park overlook the Lithuanian capital of Vilnius. They were torn down in 1950 by the Soviets (who else…), and only reinstated in that monumental year of 1989 by Henrikas Silgalis. The site has a history of crosses dating back to 1636, and legend has it that they were erected in memory of 7 Franciscan monks were tortured to death in 1333 by local pagans. Another version stars two murdered friars, killed in 1340 by the charming Duke of Lithuania Gediminias (who gave name to the tower which the Three Crosses overlook). No one really knows why the Three Crosses were built—but two things are certain: one, the Crosses are a monument that stirs memories of a nation’s resilience, and two, the view from the hill is unbeatable! Resting on the shores of Lake Galvė, a mere 300 km from the Baltic Sea, is Trakai Island Castle. Dating back to the 14th century, it was built to withstand attacks from the Teutonic Knights, who played a large role in the region. At the time, Trakai was one of the main centres of the Grand Duchy of Lithuania before it fell into obscurity after merging with the Kingdom of Poland. Today, the town of Trakai is a collection of colourful, wooden houses with a population of only 5,000. Until recently, the castle had been little more than ruins on an island, inspiration for writers and artists. Finally rebuilt in all its glory, Trakai Castle is an impressive monument standing in the middle of a careworn village, reminding us of bygone times when castles and knights and kings still ruled the lands.